Since Cyprus is a small island, the vast majority of visitors come by air. 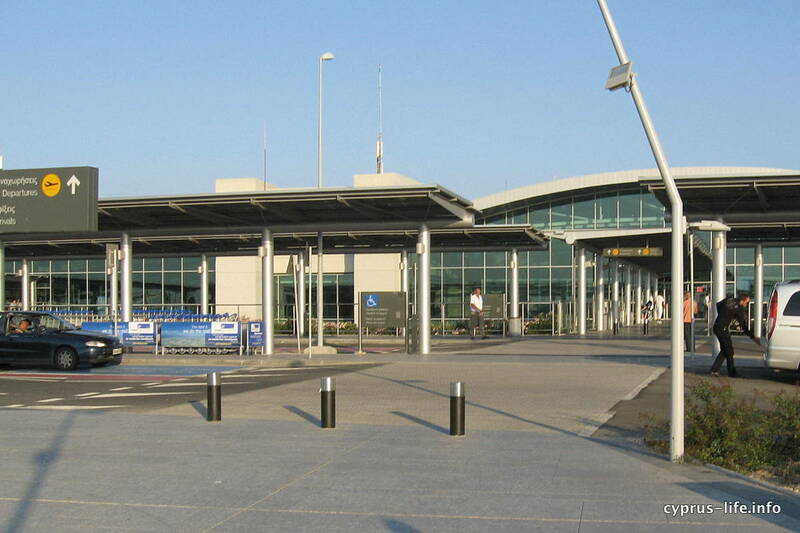 There are two airports in the south of the island: a small one in Paphos, and a larger, recently modernised one in Larnaka. 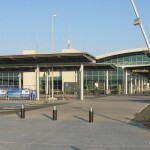 There are several different airlines who operate flights to Cyprus from the UK and elsewhere. These include some budget airlines which operate direct flights. It also includes other airlines who provide more flexibility if you would prefer a stopover. Gone are the days when travel agents were the best place to find good prices. If you want to find the best value flights, you will have to spend some time looking at the different flight operators’ websites. It is best to have flexible dates so that you can check the varying options for different days of the week. School holidays times – including British half term breaks – tend to make the prices soar. Note too that many airlines have both ‘economy’ priced seats, and super-economy too, which often sell out quickly. If you find a good value flight on the dates you want, it is best to book it immediately. Sometimes even a few hours’ delay can lead to all those seats being taken. After that, only higher priced seats are available. Important: Make a note of what is included in your flight and what is extra. Some airlines include checked luggage in their basic fare, some do not. A few still provide free meals and drinks, while many charge extra, or sell snacks on board. Some airlines charge extra for paying by credit card. Then there are some which do not tell you the airport tax costs until you are about to finalise your transaction. A flight which appears excellent value at first glance may turn out to be quite expensive when you take into account the ‘extras’. Read the airline terms and conditions too, to find out whether flight dates can be changed if necessary. Check whether there is a refund if you have to cancel. You may want to take out flight insurance if this is likely to be a problem. Below are links to some of the airlines which we or friends have used for flights to Cyprus from the UK, in recent years. They are not the only options, however. If you have other recommendations, please let me know. If you are flying from somewhere other than the UK, you may sometimes find that it is better value to book a flight to London first. Then you can book a separate one to Cyprus and that may be better value than taking a direct flight. British Airways – if money is no object, BA may be your best option. Snacks or light meals are usually provided, though you should check in advance as it varies depending on the length of the flight. Seats are reasonably comfortable, and the staff are usually helpful. They have direct flights most days. Occasionally there are special offers, but generally they are not particularly good value to Cyprus. Blue Air – a no-frills airline which has rather cramped seats, but does offer free food and drink on some routes. Check the website to see if this includes your flight. The food is fairly basic without any choice of meal, so it’s worth taking your own snacks or sandwiches too. Blue Air flights are usually on time or even a little early. You have to pay extra for checked luggage. They fly from Birmingham, Glasgow, Liverpool and London. Cobalt Aero – another basic airline, which does not offer anything free. You can take drinks and snacks on board (drinks, of course, must be bought after going through security at the airport) or buy them on the flight. Again, you have to pay extra for luggage. They only fly from London (three different airports) and Manchester. EasyJet – yet another no-frills airline with similar policies to Cobalt. They fly from various airports in the UK including London Gatwick and Stansted. A bonus is that while checked luggage is limited to the usual 20kg, and hand luggage has to be within a certain size, the only weight restriction for hand luggage is that the passenger must be able to lift it. Norwegian – we were a litlte surprised to find that this airline has direct routes to the UK (Edinburgh, London Gatwick and Manchester only). But friends who have used them have been fairly impressed. Again, they’re a budget airline so food and luggage costs extra. But they were the first airline to offer limited wi-fi while in the air. Thomas Cook – mostly package flights, usually just available during the summer and other holiday periods. You can book just flights with them as well as entire holiday packages, which can be excellent value if you choose an off-peak time when they are still operating. Note that your flight may be filled with noisy holidaymakers! TUI UK (formerly Thomson) – similar to Thomas Cook, this airline offers package deals, or seats on charter flights at certain times of year. Lufthansa – flights via Germany (Dusseldorf, Frankfurt, Munich or Zurich), with varying length stopovers. They provide meals and drinks, and are reasonably comfortable. Prices vary enormously, however; sometimes they can be excellet value, sometimes extremely expensive. If you use this airline, do check that your connections in Germany arrive and leave from the same airport! KLM – flights via Amsterdam, with friendly staff and reasonable service. Often not particularly good value to Cyprus, however. Austrian Air – flights via Vienna. Reasonably comfortable, friendly staff, basic meals. Can sometimes be good value. Aegean Air – flights via Athens, which is not as close to Cyprus as many people imagine. Again, prices and times vary.